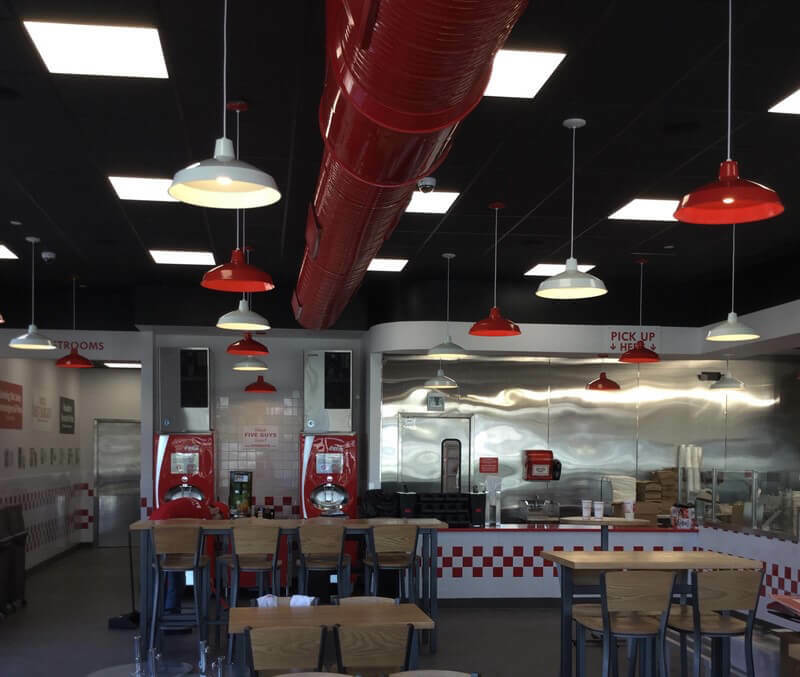 PKC Construction is pleased to announce the successful completion of the Five Guys in Ankeny, Iowa. This well-organized project was completed on time and on budget. 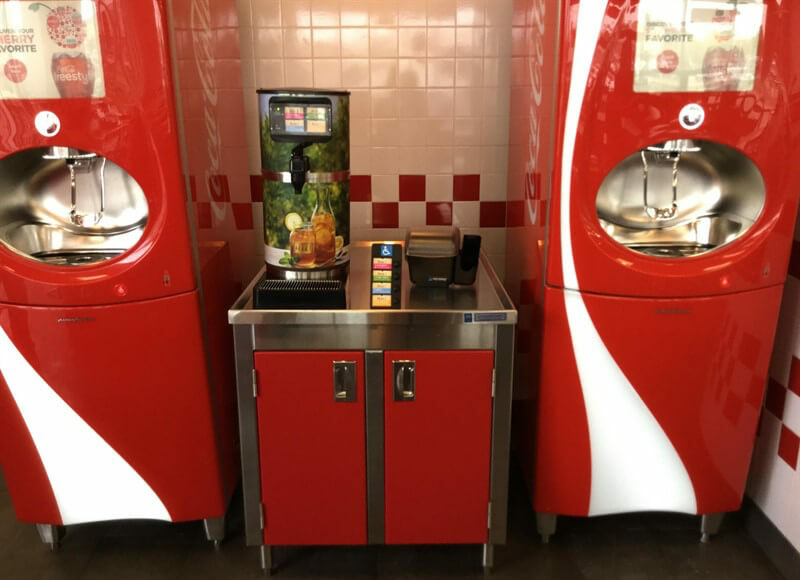 The quality of work and professionalism PKC provides to Five Guys, has led to an ongoing relationship with this well-known franchise. 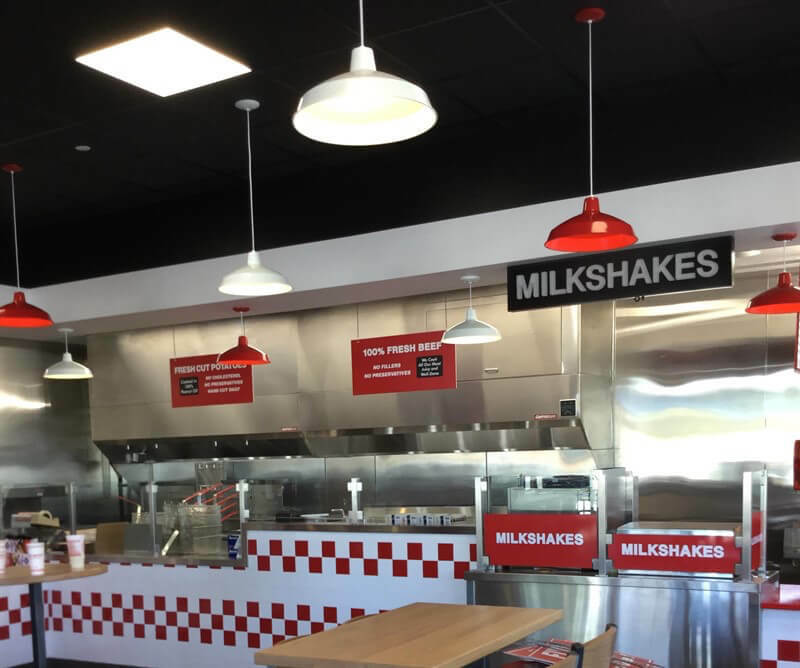 This is one of many repeat projects that PKC has completed for Five Guys, including remodels and rebuilds. 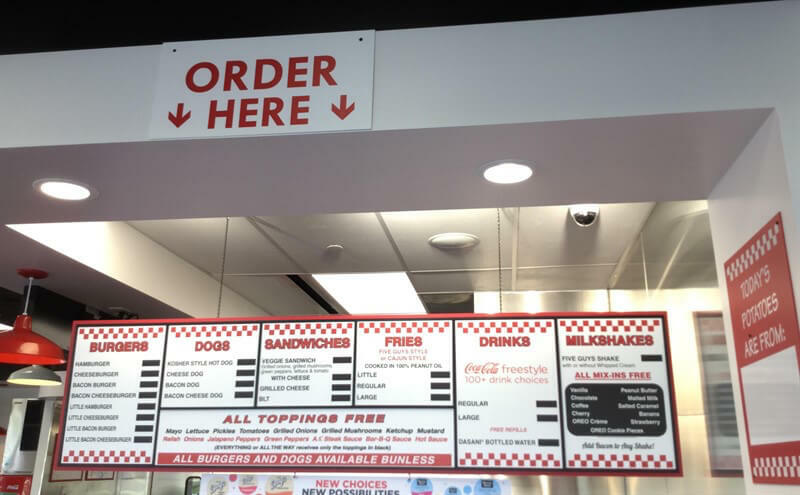 After opening 30 years ago, there are almost 1,500 Five Guys locations worldwide and another 1,500 units in development. 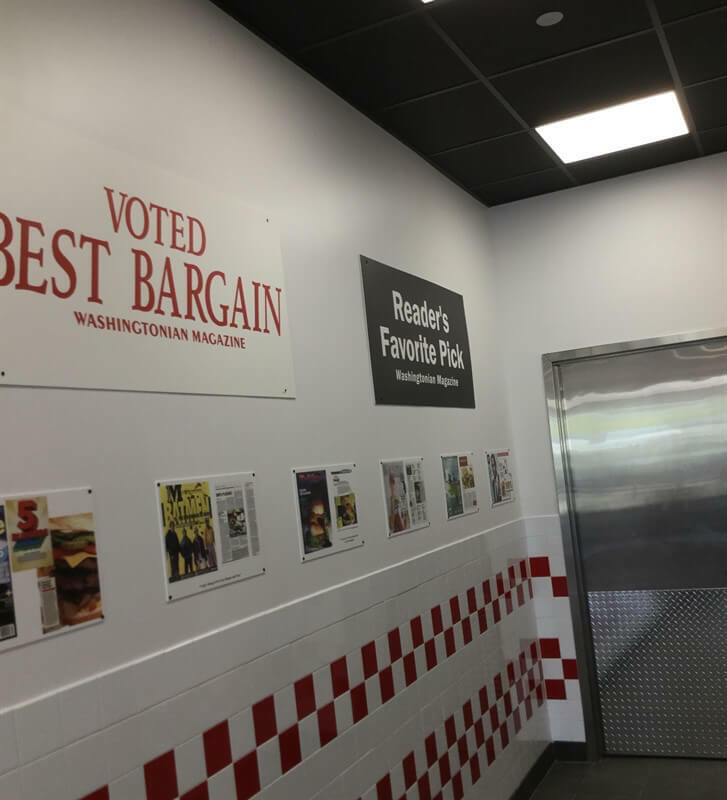 Five Guys is known for its fresh ground beef—there are no freezers in the restaurants, only refrigerators—and fresh-cut fries cooked in pure peanut oil.